Meet a MASSiF 2018 Band: Hex Beat! What is in the water in Edmonton? Three-piece Hex Beat exhibit earworm basslines, jangly guitar work and unsettling unpredictability—traits that Massif aficionados have grown to love about the City of Champions! Bone up on their post-punk perfection on Bandcamp, follow Hex Beat on Facebook, and buy your #Massif2018 tickets right now! Meet a MASSiF 2018 Band: BATH! Winlaw two-piece BATH meld ancient chants with haunting guitar work and rhythmic drumming, producing a thick elixir of doom/psych/stoner rock. Enter a trance on Bandcamp, offer praise on Facebook, and git yer Massif 2018 tickets! Meet a MASSiF 2018 Band: Highland Eyeway! Highland Eyeway’s engrossing psych-shoegaze sound is the stuff of dreams, packed with ferocious fuzz, hard-hitting drums and haunting vocals. Check out the Vancouver foursome’s new album Oneirology and much more on Bandcamp, get an eyeful on Instagram and Facebook, and buy your #Massif2018 tickets! Meet a MASSiF 2018 Band: The Basement Paintings! The Basement Paintings take advantage of the long, dark Saskatoon winters to create immersive sound experiences, journeying from ambient instrumentation to post-metal mayhem. Explore their soundscapes on Bandcamp and YouTube, introduce yourself on Facebook and Instagram, and get your Massif 2018 tickets! Meet a MASSiF 2018 Band: UNMAN! Three-piece UNMAN dredge up noisy, grungy post-punk from the gloomy depths of Vancouver. The artists formerly known as Sissy Heathens are just as sublime in their new guise. Prepare for their Massif gig by tuning in on Bandcamp—and by buying your Massif 2018 tickets! Meet a MASSiF 2018 Band: Ruiner! A dynamic frontman backed by a dynamite live band is Ruiner’s recipe for success. Incubated in the fertile Slocan Valley, the Ruiner sound is spreading with a recent appearance at the Tune It Down, Turn It Up festival—and a forthcoming gig at Massif 2018! Follow Ruiner on Facebook and buy your Massif tickets now! 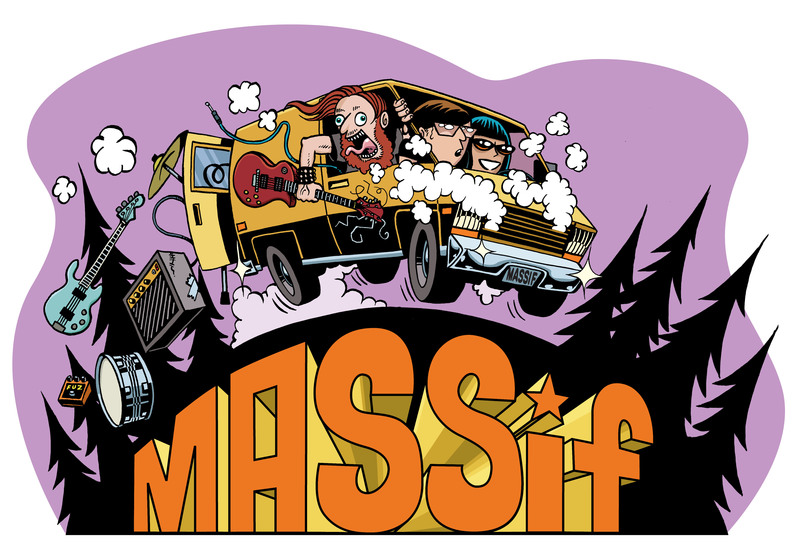 Final Wave of MASSiF 2018 Bands Is HERE!! Announcing the final wave of bands for the 2018 Massif Music Festival! Please welcome Brass, Dead Fibres, the Basement Paintings, Hex Beat, Highland Eyeway, Teeth to Your Throat, UNMAN, Ruiner and BATH to the festivities! This is going to be an epic party—buy your Massif tickets at Tribute or on our website NOW! #Massif2018 is presented by Nelson Brewing Company and Tribute.